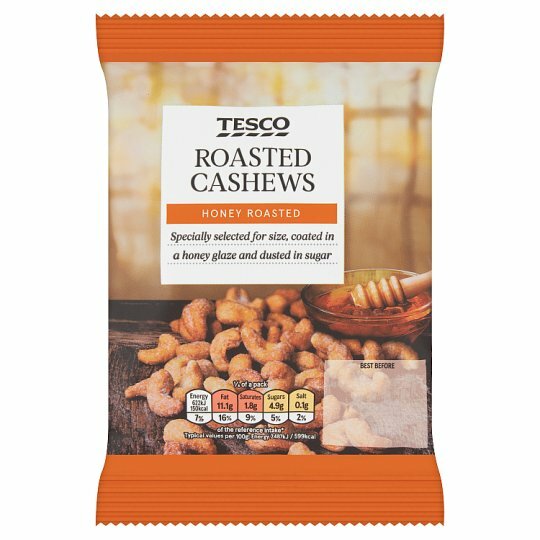 HONEY ROASTED Specially selected for size, coated in a honey glaze and dusted in sugar We ethically source our nuts from all over the world. Our growers carefully check every batch for size and quality, then we roast and season them for you to snack, share and enjoy. INGREDIENTS: Cashew Nuts (85%), Sugar, Sunflower Oil, Honey (1.5%), Glucose Syrup, Stabiliser (Xanthan Gum), Salt. Store in a cool dry place and once opened in an airtight container., Once opened, consume within 7 days.